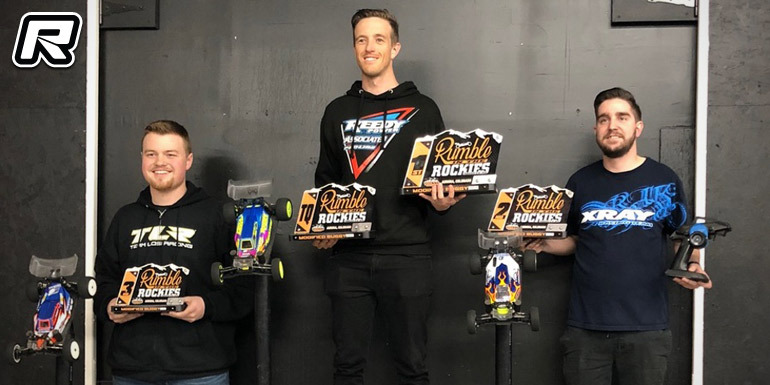 The annual Rumble in the Rockies race was held at MHOR RC Raceway in Aurora, Colorado this past weekend. 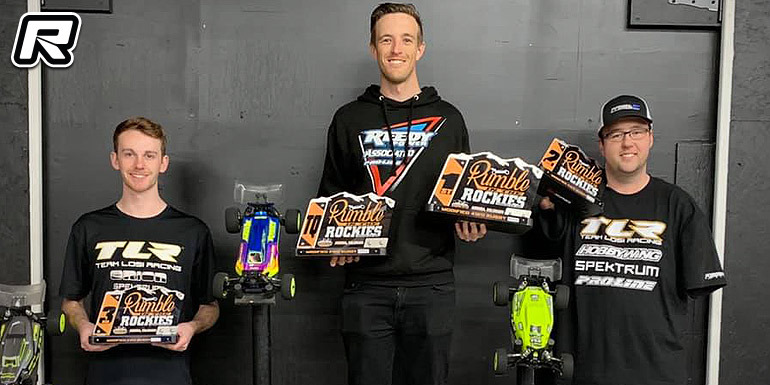 The race attracted some of the region’s fastest electric off-road racers and in the 2WD Mod and 4WD Mod classes it was Team Associated’s Dustin Evans who would lead the way, taking the TQs and wins in both categories. 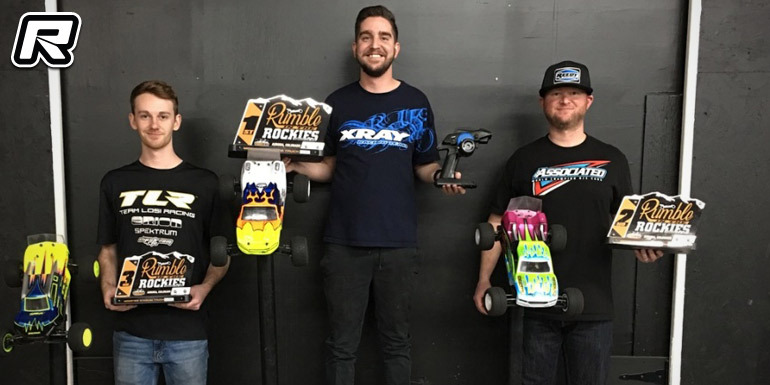 The 2WD Mod podium saw Xray’s Zac Gastelum finishing in 2nd and TLR’s Tyler Whitt coming in 3rd while Zeke Ballinger (TLR) and Andrew Kurtchi (TLR) completed the 4WD Mod Buggy top 3. Over in the Modified Truck class it was Xray’s Zac Gastelum who would sweep the class by taking TQs in all four rounds. He would then also went on to win the single 8-minute A-main by 2-laps, leaving behind Team Associated’s Jarrod Stokes in 2nd and TLR’s Andrew Kurtchi in 3rd.